The most awaited movie of Christmas 2009 has finally arrived as a game for the iPhone and iPod touch. Based on the film story and developed by Gameloft, James Cameron’s Avatar on the iPhone has great graphics, sound effects and story line that will keep you busy for hours of play. Graphics are stunningly smooth on iPhone 3GS, and there is no reason why the experience shouldn’t be same on the iPhone 3G/2G and iPod touch. For those of you who don’t know, Avatar is a science fictional epic film which is written and directed by Oscar winning director James Cameron, who was the man behind the 90’s epics like Terminator and Titanic. It is available in the App Store for $9.99. 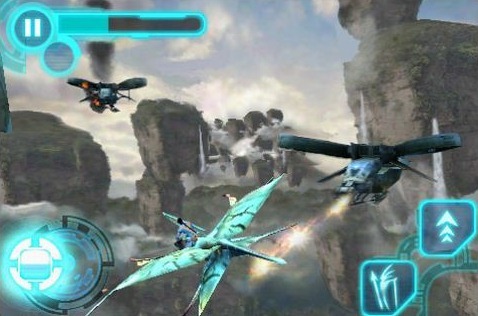 The video trailer embedded below shows the in game graphics of Avatar on the iPhone. I like Avatar but i doubt if the iphone version is that good.